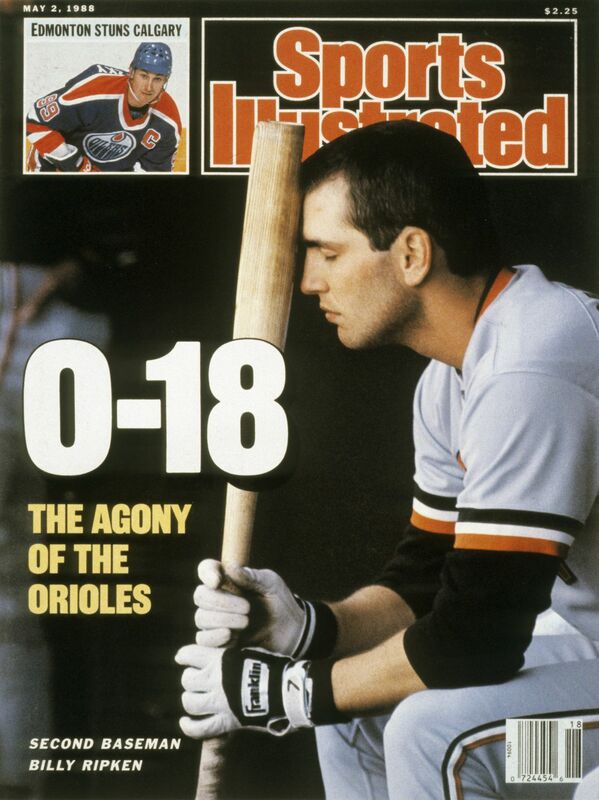 The 1988 Baltimore Orioles are remembered as being one of the worst teams in franchise history, as they staggered to a 54-107 record (only eclipsed by the 2018 team with a 47-115 mark). They had the worst start to a season in MLB history with an 0-21 record. Meanwhile, the Milwaukee Brewers were enjoying a resurgence that season. 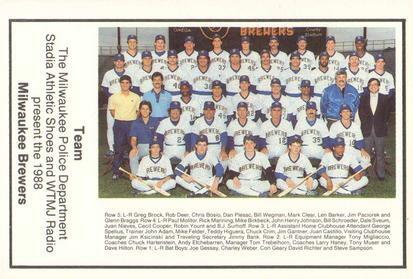 The Brewers were a contender until the final days of the season and finished in third at 87-75. 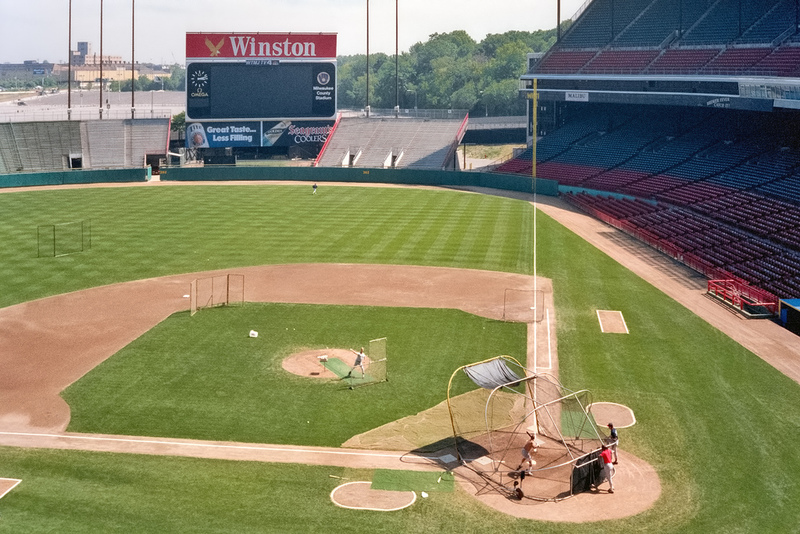 Manager Tom Trebelhorn somehow made their roster work, with Paul Molitor, Jim Gantner, and Robin Yount as their offensive core, and starter Teddy Higuera and closer Dan Plesac anchoring the pitching staff. Trebelhorn admitted to being concerned about the offense, but on opening day, it was the least of his worries. A Memorial Stadium record crowd of 52,395 settled in for an afternoon of opening day baseball on Monday, April 4. They were about to see Brewers franchise history being made for the good, and the beginning of Orioles history for the bad and the ugly. The game started off as a good pitcher’s duel between Higuera and Mike Boddicker, but it wasn’t meant to last. The Brewers scored two runs in the top of the fourth, and it looked to be enough the way Higuera was pitching. It was just the beginning of the offensive onslaught for Milwaukee. 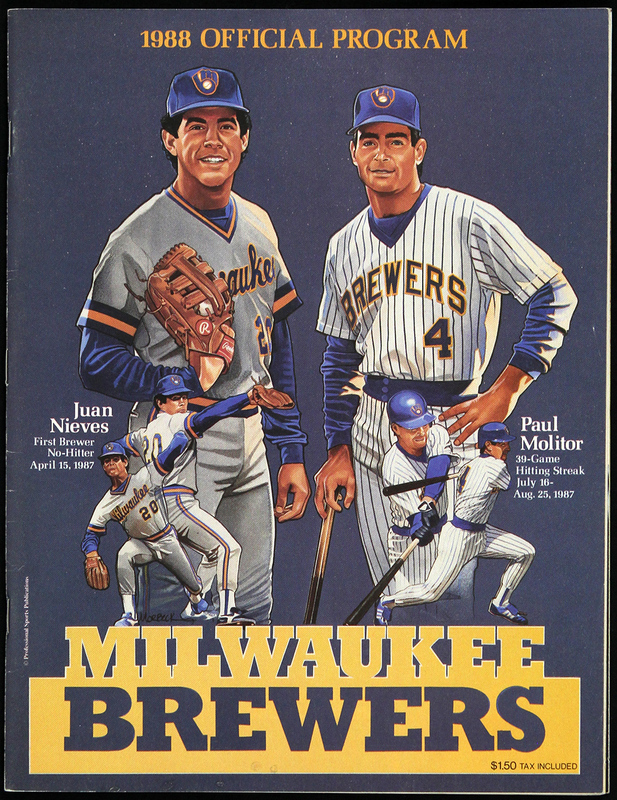 The Brewers went ahead 4-0 in the fifth inning as Molitor stole home while Greg Brock stole second base. Boddicker came back out for the sixth inning, but was pulled by manager Cal Ripken, Sr. after recording an out and giving up a hit. An extremely messy seventh inning against Oswaldo Peraza put Milwaukee ahead 6-0. They sent seven men to the plate and Molitor stole second and third base, then scored on a wild pitch. Higuera pitched a 1-2-3 bottom half of the inning and didn’t need to go any further after his teammates blew the game open in the eighth. In his 100th career start, Higuera struck out seven, and allowed three hits and just one walk, clearly benefitting from facing a stacked left-handed hitting lineup. It was easy for Milwaukee to plate six runs in the eighth inning because they had a lot of help from the O’s after Dale Sveum cracked a two-run homer. The blast went nicely with his two singles and two runs scored earlier in the game. RBI’s from Brock, Rob Deer, and Ernie Riles came as the inning kept being extended by pitching miscues – a walk, hit batter, and wild pitch. Peraza gave up Sveum’s homer, and Dave Schmidt suffered through the rest of the damage. In all, the Brewers sent 11 men to the plate anc collected six hits. Plesac made the O’s go down quietly in the ninth as he struck out Cal Ripken, Jr., then got Eddie Murray to ground out and Fred Lynn to fly out. The Brewers pounded out sixteen hits on the way to a 12-0 win – their largest shutout victory in franchise history. On the other side, it was the worst opening day loss at home for the Orioles in their history. The previous worst also came at the hands of Milwaukee – an 11-3 loss in 1978. Every Brewers starter had at least one hit. B.J. Surhoff led the way with three hits, followed by Deer, Sveum, and Molitor with two apiece. But it wasn’t just the hitting that won the game. Milwaukee took advantage of four stolen bases, two errors, two wild pitches, and two hit batsmen. With the win, Milwaukee had won 13 of the last 15 games with Baltimore, going back to 1986. They kept winning, tallying a 3-1 win before heading to New York and Boston. Milwaukee lost the next seven games and didn’t win again until playing New York at home on April 16. Baltimore kept right on losing, pretty much for the remainder of April. The O’s proved to be the tonic to heal the struggling Brewers, as they followed New York into County Stadium. The Brewers swept the three-game series (9-5, 8-6, 7-1) and were at .500 with a 7-7 record. The 9-5 loss put the Orioles in a tie with the 1904 Washington Senators and 1920 Detroit Tigers for most losses to start a season, with 13. The following night was cold and wet, with just 7,284 fans braving the elements to see baseball history. With the 8-6 loss, the Orioles became the first team in over 120 years of baseball to start a season 0-14. By then Frank Robinson had replaced Ripken, Sr. as O’s manager, and the team started hitting again. It wasn’t enough. The Brewers countered the Orioles 12 hits with 15 of their own. The Orioles finally won two games in a row over Milwaukee in a four-game August series. The Brewers were hovering around the .500 mark by then, but finished with a 17-13 August and strong 17-7 September to make things interesting in the AL East.